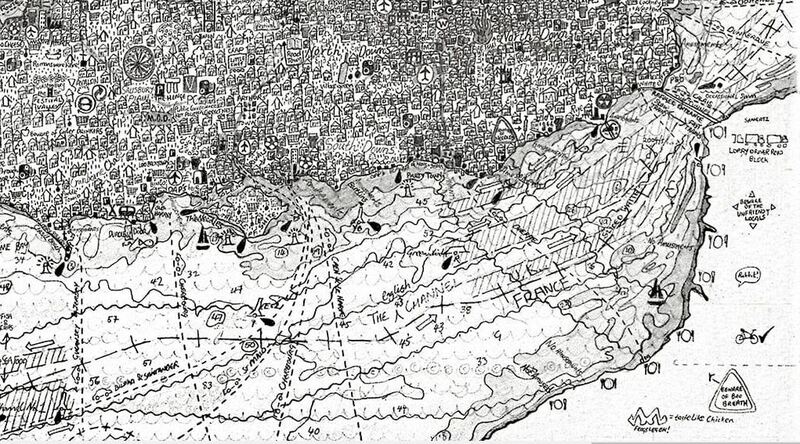 Reflection: Stephen Walter is a contemporary artist who works a lot with drawing and mapping. He works in such detail that the viewer needs to use a magnifying glass to experience parts of his artwork. Look at Walter’s work, read his comments and reflect on them in your log. What does such a fine level of detail lend to the image? 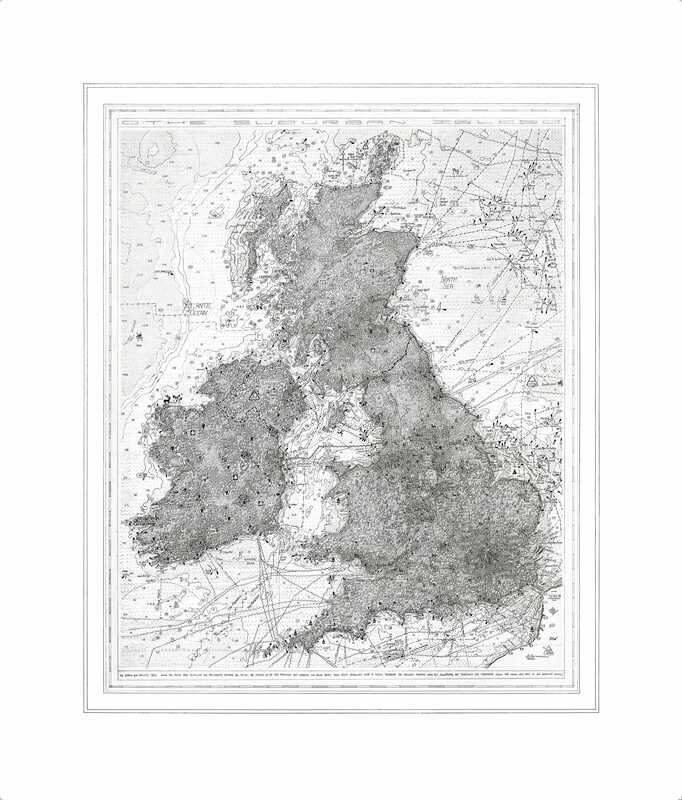 At first glance this seems a standard map of the British Isles, i.e. Britain and Ireland and includes a section of northern France. However, on closer examination the text is not the conventional notations found on a map. Most of the comments are those in which Walters seems to give his personal opinion on the area or the people. Many of these comments are quite politically incorrect, but offence seems to be taken as every section of society, social groups and region gets its ‘fair share’ of abuse. Or it may be that those that may take offence have not spotted the derogatory comments amongst the myriad of detail. All stereotypes and regional bias is noted. This map shows that 21st century Britain is a collection of diverse types of people joined in a series of common purposes. Another thing the map shows ins that a map is the creation of its maker and much like history it can be slanted to the aims and opinions of its writer /maker. In an interview for the Guardian in 2015 (Adams, 2018), Walters noted that any map is … “any map is, as he says, “always a projection of the views and opinions of its maker”. In his maps he certainly projects his views and opinions to the viewer. In times past maps were both rare and valuable. They were the collective experience of a individual, second and third hand information, personal viewpoint and an insular xenophobic arrogance. With the world being mapping and explored from the renaissance to the 19th century new found people and lands were being ‘discovered and found’. The opinions of these explorers were taken at face value and thus whole countries would be labelled as cannibal on the whim or a misunderstood element of culture or translation. Thus many Europeans had a biased view of the remainder of the world, and indeed this did work both ways. Many cultures not understanding Christian culture and having a rudimentary translation believed that Europeans were cannibals as they eat the body of Christ. Stephen Walters brings a tongue in cheek reference to these old maps with his 21st century take on opinionated and biased mapmakers. He uses his own opinions and views to shape his map as he wishes us to view his world. “ We entered our private pods, drove the roads and travelled the motorway towards the the tuneel. We parked up at the terminal and grabbed our value meals . then drove ourselves into a train. Boarding the return journey with our souvenirs, we travelled the motorway. Down the roads and back to our newley homes”. Comments noted on “Similands” map “ Untrue N” (in seas north of Scotland), “ Beware of bad breath” (France), “Beware of unfriendly locals” (France), “ Refused Entrance” (The Tunnel), “Party Town” (Brighton), “Loose gals live here” (Essex), The Isle of Shite (Wight), “Beware of Bombs” (Northern Ireland), “Brokenham Palace” (Buckingham Palace), “inbreeding” (Norfolk), “plane down” (Lockerbie), OAPs (Bournemouth), “Beware of Cider Drinkers” (Somerset), “Stupid House Prices”(London). Childlike houses drawn and repeated as a motif across the whole map. Each is individually drawn and is similar but not quite alike its neighbour, this is interspersed with symbols denoting a location of facility such as an airport, mountain, church pub. This is a map of modern Britain, though not one that is complementary to the places or people within it. “Cheese Wick” (Chiswick), “Little India” (Southall), “! Young Offender” (Feltham), Walton on Thames is prefixed “the Waltons” (as a pun on the TV programme the Waltons), “Keston + the end of slavery Wilberforce + Pitt” (at Bromley), “Ohhhhhh Ghosts” (Smarden in Kent, Britain’s most haunted village). Another of his works that continues with the insular and biased view of Londoners. In this he illustrates the view of many Londoners that they don’t need the rest of the country and indeed would be better off within them. 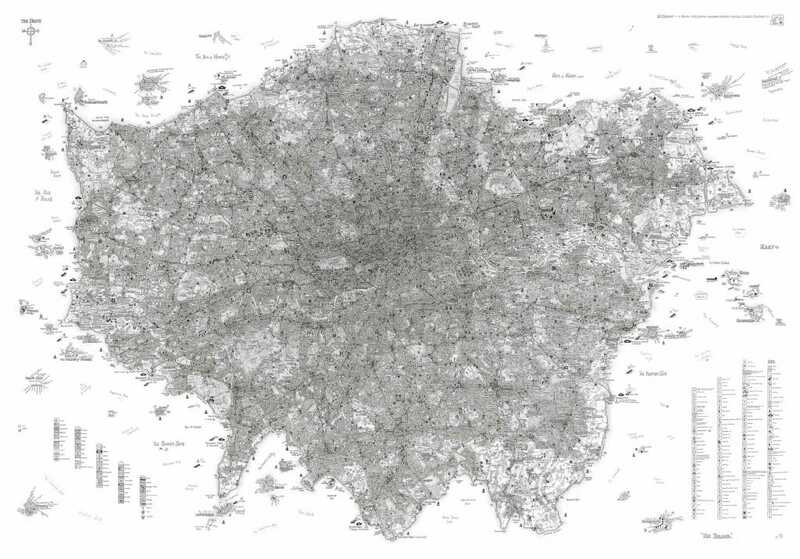 So Stephen Walter makes the London boroughs into an island (“The Island ,(2008)”). The suburb towns in the outlying boroughs of London become ports for the city as the rest of England is covered in water and seemingly of little value to the Islanders of London except as a means of access to their island city. This view of England, title to its ancient name of Albion, is upside down at least according to the conventional view point we take when mapping the UK. 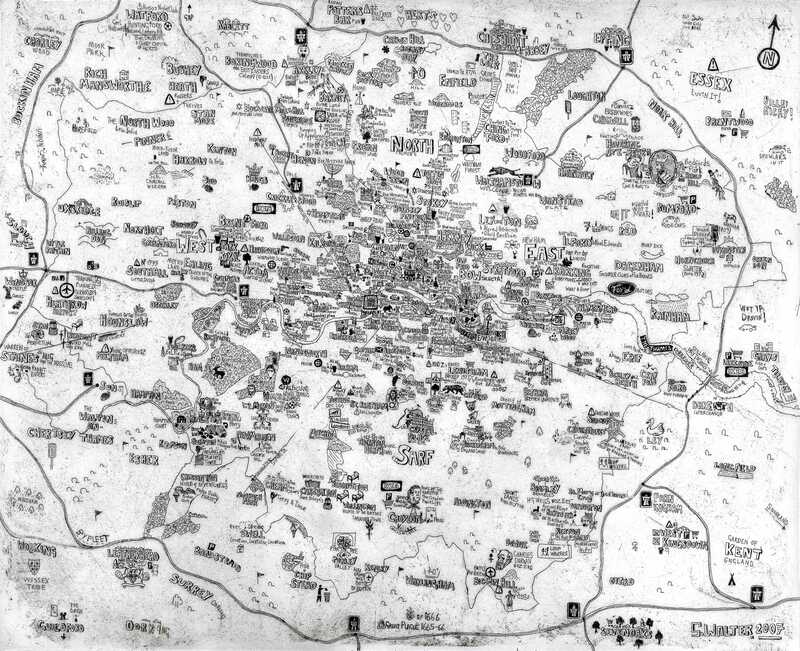 This drawing is more like a conventional map than many of Walter’s other maps. Here he passes up the opportunity to cram lots of written detail into the initial empty space he started with; he instead fills it with the conventional notation used in maps, such as topography, rivers, forests locations. However, these are not the usual descriptions we would see on a 21st century map of England (Albion), this map contents notations about literature and legends. These references include: Tintagel,” Arthur was conceived here”, “Jamaica Inn”, “Landing of Pytheas 320BC.”, “Mouth of Plum“ (Plymouth). Ireland, France and Scotland are shown in part by remain totally blank, there is no inscriptions to even note the main features of these areas. Maybe he is continuing his theme of forgetting or eliminating areas that in his opinion don’t count, in a similar way to the island view taken by Londoners. He may also be emphasising the point of many Scots that news bulletins etc. take little regard for what happens north (or in this case maybe south) of the border. In images such as those above by Stephen Walter the level of detail makes the viewer take a different method for looking at the work. 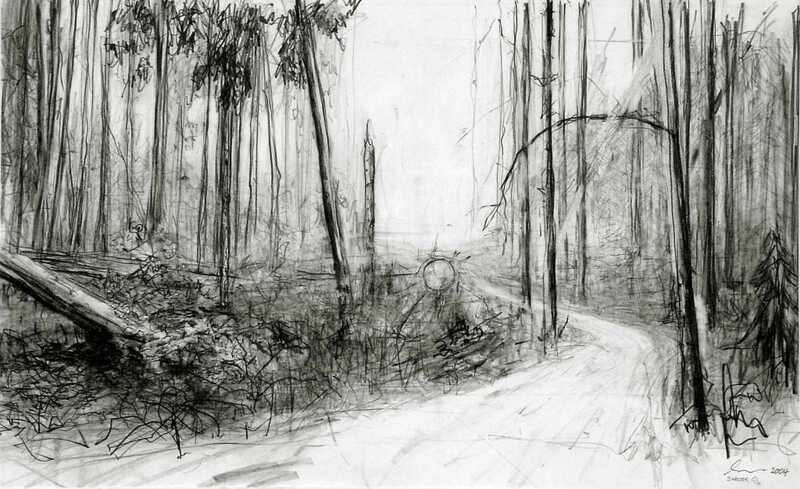 Where many people stand back from a painting or drawing to look at overall effect, in these instances Walter forces the viewer to step closer and read. To read they must be very close for most the reading of the size of print used is within 20 inches or less. Thus, the viewer virtually has their nose pressed to the work. Once they start to read they will keep on looking to see what he notes on places they may recognise. To full read many of his works the viewer needs to invest in a period of time, maybe as much as 30 minutes to an hour to fully comprehend all the remarks on his ‘maps’. Not only does the viewer have to revise his approach to viewing the work, the artist must also revise his method of doing the work. The very process of standing back to get an overall view must also be reinforced by stepping closer to view how elements present themselves in isolation. The artist must restrain themselves from the broad strokes they may sometimes work in, them must temper their strokes to the minute size required because of the level it is viewed. Stephen Walter does sometimes take this broad strike view to drawing as can be seen from the example in Fig. 7. Other works by Walter may not be maps but many of them feature a load of detail and require careful and close scrutiny. Such as Figs. 8 and 9. Fig.1. Walter, Stephen. (2006). Similands, [online http://stephenwalter.co.uk/wp-content/uploads/2016/01/SIMILANDS-2006.jpg, [Accessed 17 May 2018]. Fig. 2. Walter, Stephen. (2006). Similands – detail, [online], http://stephenwalter.co.uk/wp-content/uploads/2016/01/SIMILANDS-2006.jpg, [Accessed 17 May 2018]. Fig.3. Walter, Stephen. (2007). London Etching, [online] http://stephenwalter.co.uk/wp-content/uploads/2015/05/LONDON-ETCHING-2007.jpg, [Accessed 17 May 2018]. Fig.4. Walter, Stephen. (2008). The Island, [online] http://stephenwalter.co.uk/wp-content/uploads/2015/04/The-Island-2008.jpg, [Accessed 17 May 2018]. Fig.5. Walter, Stephen. (2007). (2008). The Island – detail, [online] http://stephenwalter.co.uk/wp-content/uploads/2015/04/The-Island-2008.jpg, [Accessed 17 May 2018]. Fig.6. Walter, Stephen. (2016). Albion, [online], http://stephenwalter.co.uk/wp-content/uploads/2016/06/A3_ALBION_Whole-1-768×926.jpg, [Accessed 17 May 2018]. Fig.7. Walter, Stephen. (2004). Breaking Wood. [online] . Available at : http://stephenwalter.co.uk/works/the-woz-erez-of-lud-4-2008/, [Accessed 17 May 2018]. Fig.8. Walter, Stephen. (2008). The Woz Erez of Lud, [online]. http://stephenwalter.co.uk/works/the-woz-erez-of-lud-4-2008/, [Accessed 17 May 2018]. Fig.9. Walter, Stephen. (2004-5). 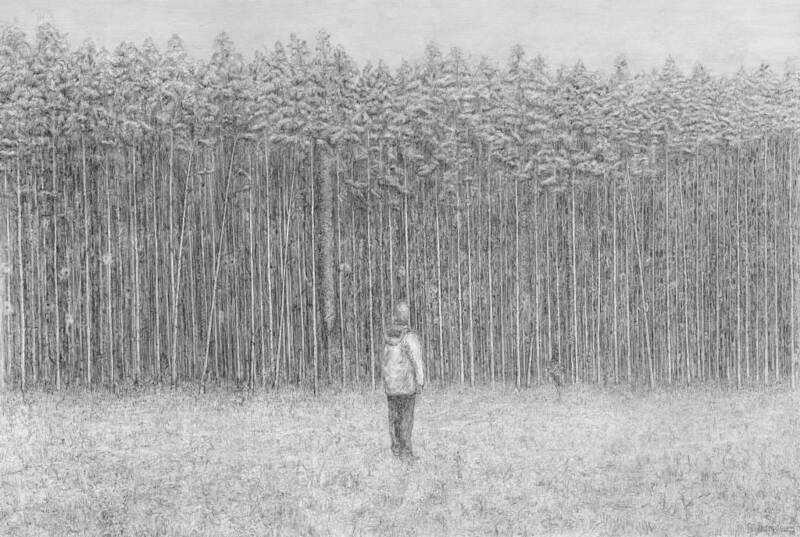 If You Go Down To The Woods Tonight Be Sure To See Desperate Eyes, [online], Available at: http://stephenwalter.co.uk/works/if-you-go-down-to-the-woods-tonight-be-sure-to-see-desperate-eyes-2004-5/, [Accessed 17 May 2018]. Adams, T. (2018). 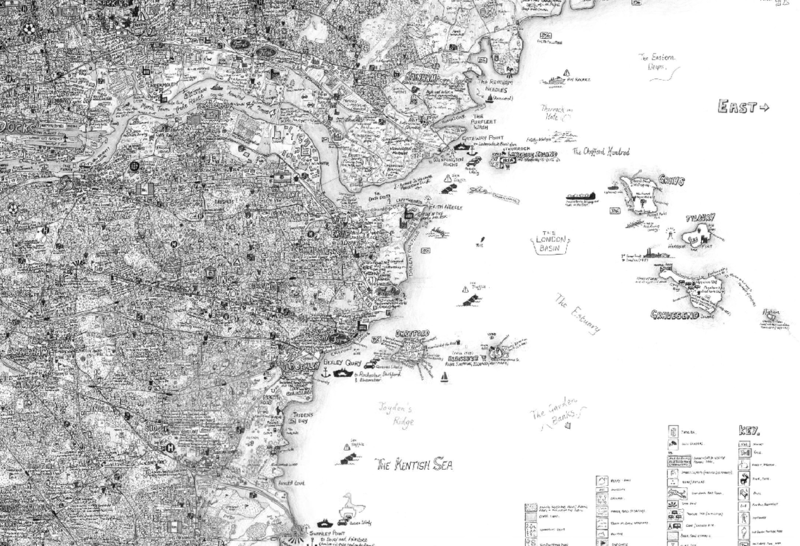 Artist Stephen Walter: ‘My maps are all about human residues and traces’. [online] the Guardian. Available at: https://www.theguardian.com/artanddesign/2015/may/10/stephen-walter-artist-map-maker-london-interview [Accessed 19 May 2018]. En.wikipedia.org. (2018). The Sims. [online] Available at: https://en.wikipedia.org/wiki/The_Sims [Accessed 19 May 2018]. Instagram. (2018). Stephen Walter on Instagram: “ALBION, 2016 #folklore #fineartprint #fineartprinting #fineartprints #fineartprintcollector #urbanexploration #urbanexploring…”. [online] Available at: https://www.instagram.com/p/Bf_2PX4lhDc/?taken-by=stephenwalterartist [Accessed 19 May 2018]. Stephen Walter. (2018). 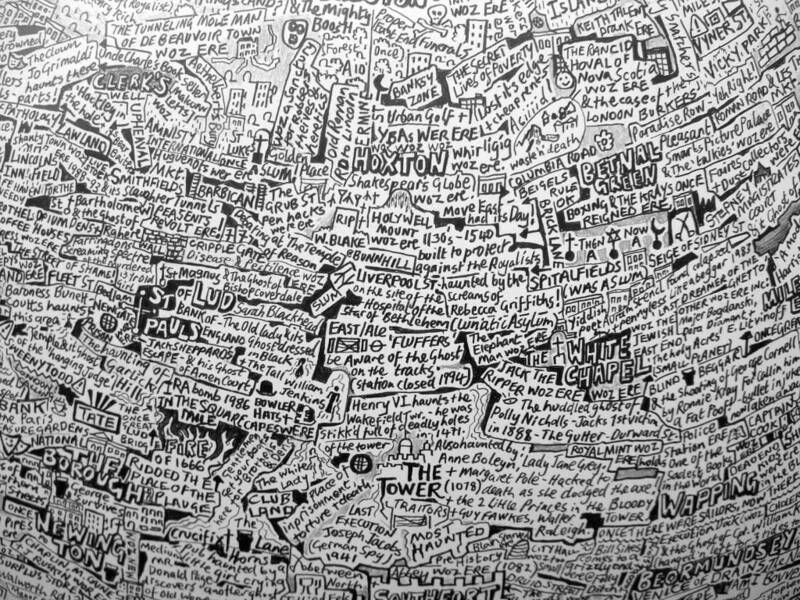 Maps – Stephen Walter. 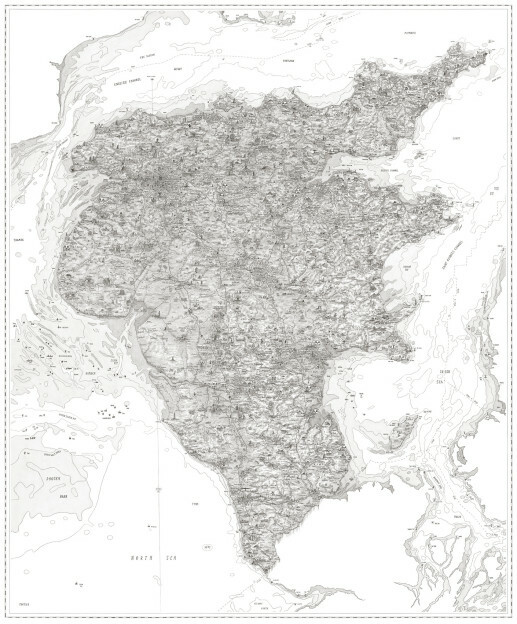 [online] Available at: http://stephenwalter.co.uk/the-maps/#similands-2006 [Accessed 19 May 2018]. Stephen Walter. (2018). Biography – Stephen Walter. [online] Available at: http://stephenwalter.co.uk/artist/biography/ [Accessed 19 May 2018]. Tagfinearts.com. (2018). Stephen Walter Prints TAG Fine Arts: Contemporary Art Dealers & Publishers. [online] Available at: http://www.tagfinearts.com/stephen-walter.html [Accessed 19 May 2018].